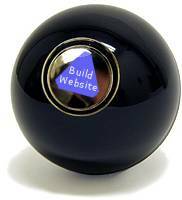 Websites are a dime-a-dozen these days. It seems as if everyone is building them and promising high traffic, search engine placement, customers and untold riches. The problem is that many of these websites aren’t being built so that the owner is able to realize any real benefit. They are largely online brochures. Anyone can design a website. Not everyone can design an effective website that truly affects your bottom-line. We believe websites should convey an organization’s focus to those that are directed to it. We believe websites should be interactive and truly engage visitors, as well as help visitors find answers and solve problems. You’ve decided it is time for your business or organization to establish a website, or you have recognized that the one you already have is not doing enough (or anything) for you. Whether your need is a new website or a re-design of an existing one, we are here to help. ISM interactive is a professional Web site design company based in Fillmore, California that offers Web Site Design, Web Site Marketing, Social Media Services and Loyalty Programs to small and medium sized business throughout the country. We are dedicated to helping our clients create an innovative and effective Web presence including Web application and multimedia development as well as marketing influenced design strategies. We develop solutions that work for your business, improve your bottom-line, and simplify your life. We are passionate about our work and fiercely dedicated to our clients. We build Web sites that are easy to update (by your staff, if you choose) and scalable, so you’ll never outgrow your site. At ISM Interactive, you’ll find an accomplished, award-winning team of experts with the knowledge and insight to help you transform your business into Web-centric applications and can help you to optimize existing and discover new business revenue streams. Our experience with a variety of tools and platforms, combined with our well-defined Web site development methodology allows us to generate stable solutions that are delivered on-time and on budget. Developing Internet solutions since 1996, ISM Interactive is no stranger to the wide world of the Web. Our services are solutions. Whether you’re an emerging dot-com, an association, or small to mid-sized company looking to transform the way you do business, ISM Interactive can tailor its services to build a long-term Internet solution. Our goal is to combine superior design with leading-edge technology and user-driven functionality. After all, what good is a powerful site that isn’t designed with the end user in mind? We don’t do cat videos. And we don’t build sites simply to make our clients feel good. We build sites based on demographics and research that are engineered to meet customer needs while saving you time and money. It all starts with a consultation. What services will help your organization achieve its mission? What can we do to help your business become successful on the Internet? You’ll hear from our experts, but these decisions are ultimately yours (it’s your name on the Web site after all). Your development team will then plan and implement your unique Internet strategy, whether it’s Mobile-enabling your Web site, allowing for eCommerce applications, setting up a virtual community, handling your online marketing or customer service needs, or developing an extensive database-driven system. We have years of experience in designing, developing and maintaining Web sites for our clients, and in redeveloping existing sites to achieve client’s goals more successfully. We work closely with our clients to clarify the purpose they wish their sites to meet, and to set achievable objectives which are supported through site design and structure. We advise on the technical, practical, marketing and strategic decisions which must be addressed if a site is to be successful. We keep our skills and technologies up-to-date are not swayed by fads nor by tradition — only by proof. ISM Interactive can recommend tools that will not only let us build your solution faster, but ensure it will perform reliably and efficiently.